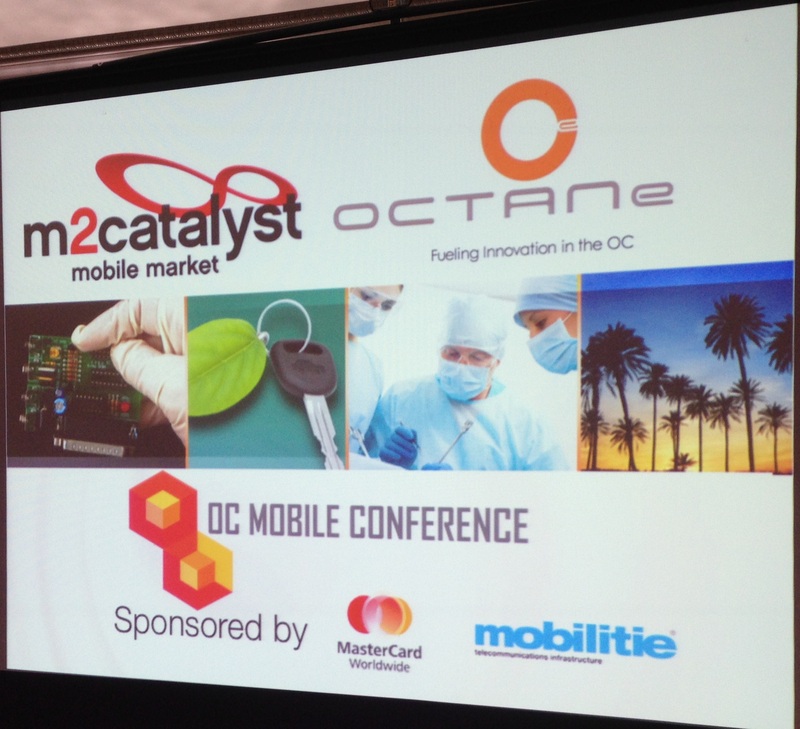 I had the opportunity attend the OC Mobile Conference at OC Center Club, hosted by OCTANe on March 27, 2014. This was my 1st OC Mobile Conference. The Center Club is always great and the lineup of speakers was outstanding. Throughout the day the theme was Mobile has become the center of our lives and it continues to grow. Security is more of an issue for Android devices than for Apple devices. There is an ever-changing game of cat and mouse security wise. Jack Bicer said when it comes to malware there are some 200+ new keyboard loggers discovered every day. On top of that, there are 1500 new viruses found every day. Many Wireless providers such as Verizon, T-Mobile, and AT&T are missing the boat. They do not seem to realize that content is everything. One company that does get it is Apple. There is a lot of speculation on where Apple will head next. Android has a bigger market share, but Apple is more profitable. Apple’s move into the lower end of the market with some models of the iPhone are seen as attacking both the lower end of the market and going after international markets where Android is strong. Hank Mondaca of Sonic Mobile one of the Pioneers of Mobile Marketing gave a great presentation on state of the art mobile marketing. It is all about engagement with your customers in a way that they want to be connected with. There are now some 3 Billion Mobile Devices, so you can reach roughly half of the global population through mobile messaging. Hank Mondaca spoke out strongly against SPAM messages. 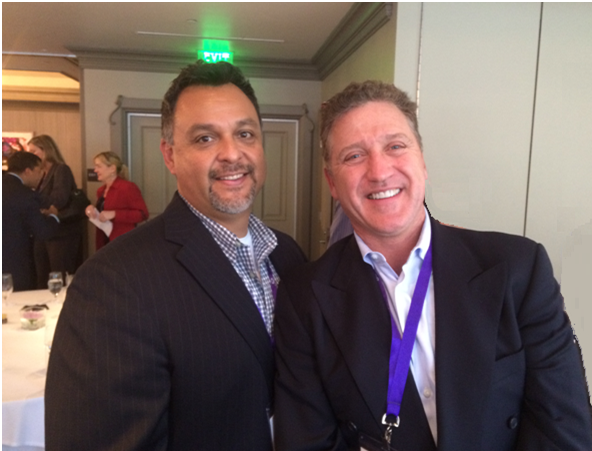 His advice to Mobile Marketers is to get permission and keep your message relevant to your customers needs. Health care is needs to stop trying to solve today’s problems with 30 year old tech. The Healthcare world still puts a premium on the Doctors time yet ignores the line a patients waiting in the waiting room. Mobile & internet infrastructure is in its infancy. Mobile Trends are moving at 90 miles an hour with your hair on fire! iBeacon hyper-local Bluetooth emitter that pushes a promotion to those who walk in or by a shop or restaurant or it can just say welcome back Phil! Nomophpobia…. Fear of not having access to your mobile device. According to one study a people noticed that they lost their cell phone on average in 58 min, for a lost wallet it took on average 3 hours to be noticed. The Keynote Speaker was from Qualcomm focused on The Internet of things. They felt that the key is to tie together the fragmented verticals who make the devices. The goal is to bring the internet of things into our homes via Wi-Fi and using our power outlets to connect the devices. This has been tried before…without success. It seems that home automation is always 5 years away from being big, and 5 years from now, it will still be just 5 years away from being big. Sorry I am a pessimist about this it is based on my past industry experience with this type of product. The technical issues of communicating via power lines have not been addressed, power lines were never intended to carry data electrical power is noisy and dirty relative to data lines. Even if those obstacles can be overcome, consumers have not flocked to home automation in the past. Just remember all those VCRs flashing 12:00…. This great conference shows that Tech is thriving here in Orange County, CA. I learned a lot about real world ways to market products & services via mobile platforms. There is no question that mobile devices will continue to change our lives often in un-expected ways. I am looking forward to the bright future of new disruptive technology in the mobile arena and I expect to learn about it first at the next OC Mobile Conference 2015. This entry was posted in CA, Marketing, Phil Sallaway, Product Manager Orange County, Technology and tagged "Phil Sallaway" Mark Capper, 213, 714, 92630, 949, California, Center Club, Marketing, Mobile Devices, OC Mobile Conference, Orange County, Orange County Center Club, Phil Sallaway, Phil Sallaway Product Manager Orange County California, Product Management, Salesforcemaven. Bookmark the permalink.